For the next couple months we're going to revisit Build 2017, each post focusing on different aspects and technologies presented. Not every session will be listed, just a select set, hopefully enough to wet your appetite. All the on-demand sessions can be found and the Channel 9 Build event site. 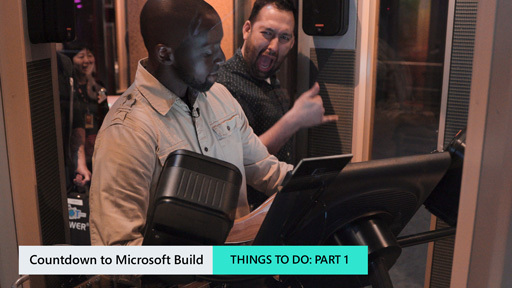 It wouldn't be a Build if there wasn't a good bit of Office content. Of the 46'ish sessions here's a select 25. 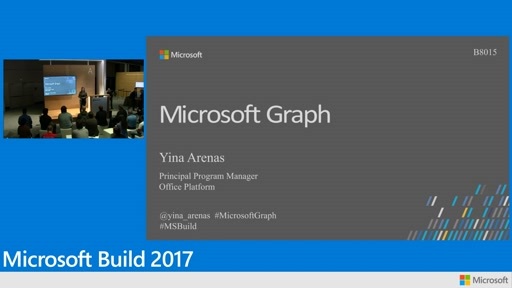 Come find out how you can incorporate Microsoft Graph in your apps to pull in the most relevant user, group, file, mail and more pieces of information to build an engaging experience. 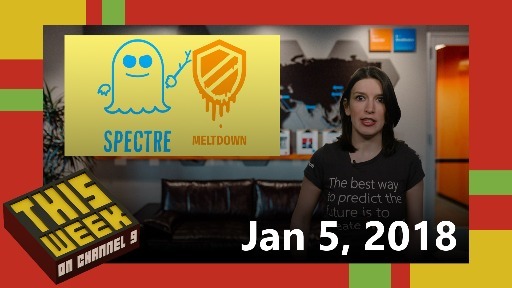 Office UI Fabric has come a long way in the last year, and we have plans to do even more. Come learn how you can start harnessing the power of Fabric in your projects today. 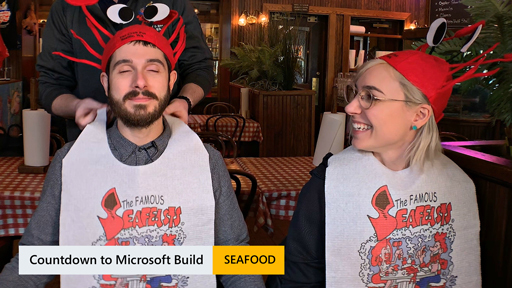 See how DocuSign used the new Microsoft Office.js APIs in their integrations and how it gets tied to completing a DocuSign transaction. A step-by-step breakdown of how I built a completely functional Office add-in, with no previous experience. 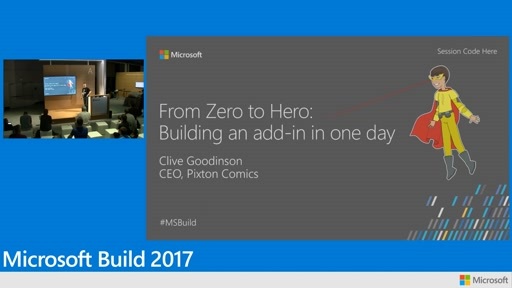 Find out how to build an add-in that allows PowerPoint users to import content from your app or site. And I'll also share the No. 1 time-saving tip I learned while developing the Pixton add-in. 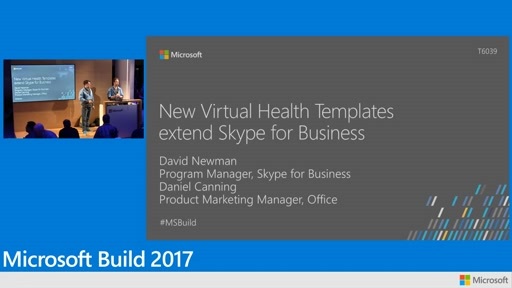 Skype for Business includes powerful support for audio/video conversations and meetings. Find out how we built a complete "Virtual Consult" facility for doctors, and how you can weave the power of audio/video conversations into your own apps. Nimble provides a CRM system designed around social sales and marketing. 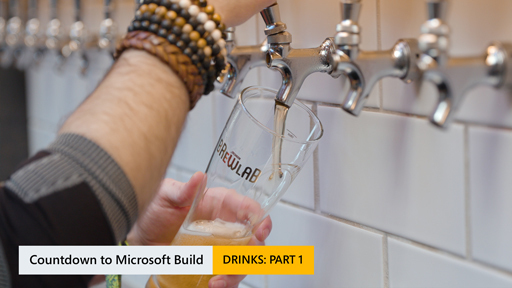 Come find out how they integrated and built with Office 365 to grow an engaged user base. Create, run, and share your Office Add-in snippets instantly inside Microsoft Word, Excel, and PowerPoint. 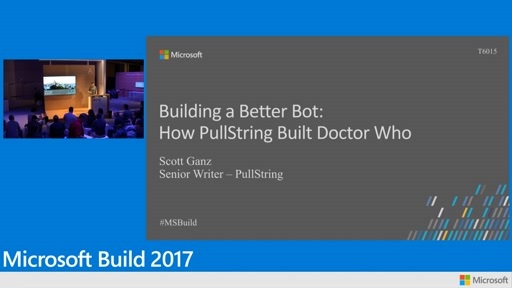 Pullstring offers a deep conversational understanding platform that can be used to build Bots. 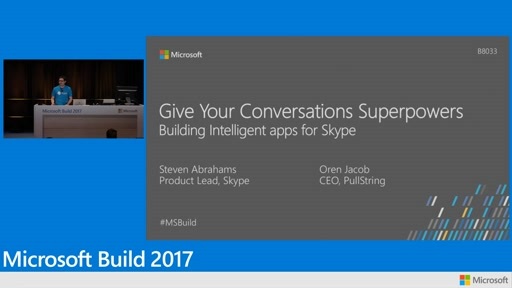 Come find how Pullstring built bots that integrate with Skype and beyond. 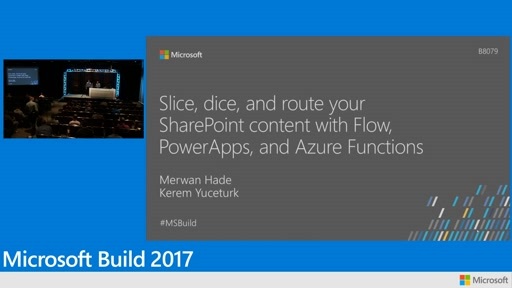 Ask Office anything about the new single-sign on flow for Add-ins. 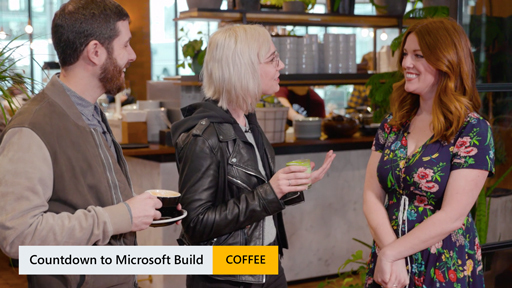 Learn about the latest that Office has to offer developers, from Microsoft Teams extensibility and the Microsoft Graph to Office add-ins and Office UI Fabric. 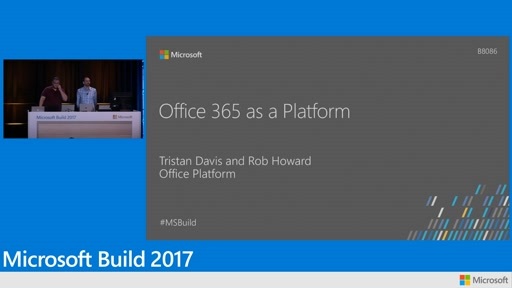 Get a demo-packed overview of the platform, and a guide to Office sessions you should see through the rest of the conference. 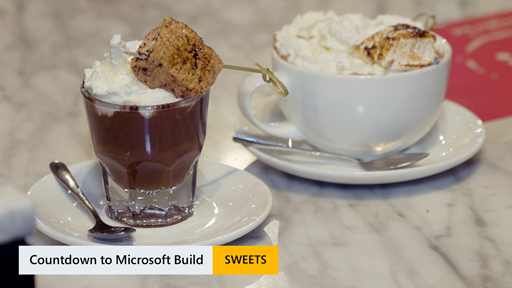 Developers can build modern business process applications with Microsoft Flow and PowerApps and extend them with Azure Functions to fully customize how content flows within their organization. Bring the power of real-time communication to your business apps and customer experiences by seamlessly integrating Skype for Business communication services into existing web and native applications. 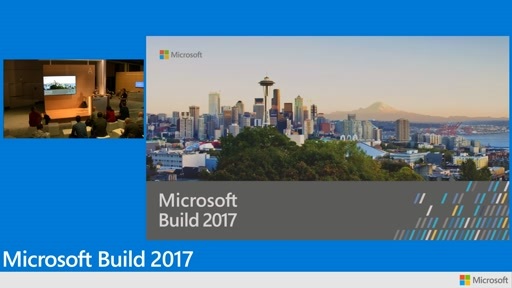 In this session, we’ll walk through examples from deployed customers using the latest Skype for Business SDKs and demonstrate upcoming integration opportunities for developers building enterprise applications to get users engaged in conversations. 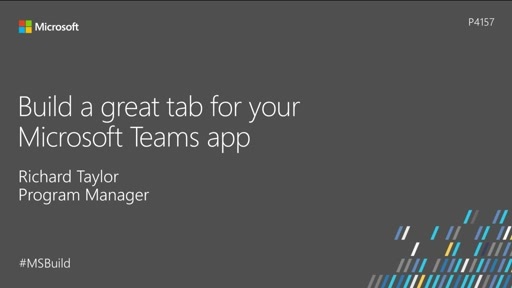 Microsoft Teams offers an exciting and flexible platform for developers with an incredible surface area to engage users. Learn about opportunities to integrate your app through tabs, bots, connectors and exciting new features to be released at Build. 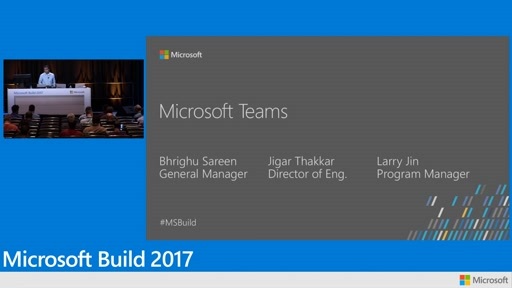 We also discuss new ways for software creators to get discovered and get used within Teams. 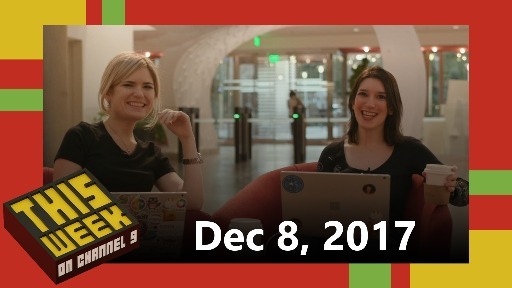 This past year was huge for Outlook platform, and we’re excited to share new capabilities that we’ve brought, as well as what’s on the roadmap. 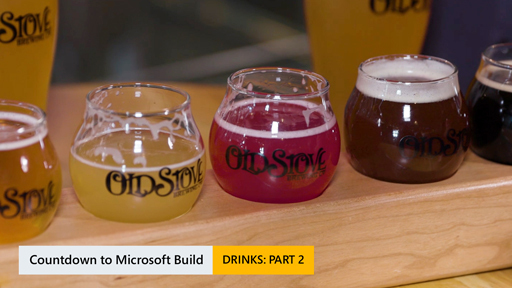 You can build mature workflows and experiences that let users seamlessly run their business in Outlook, across Windows, Web, mobile and Mac. 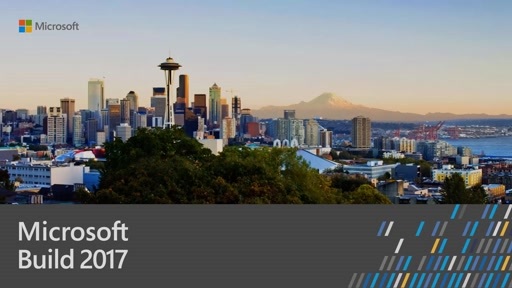 Come learn how to build an add-in in mobile, how to hook into the send event to execute custom logic or turn your workflows into actionable messages so users can do tasks like approving an expense report, filling out a survey or timesheet – all without leaving Outlook! 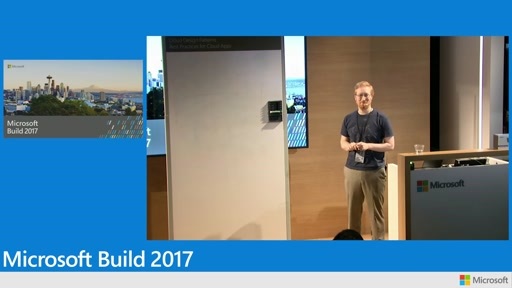 Skype and Pullstring share what makes a great bot and explore together how to build the intelligent bots of the future. 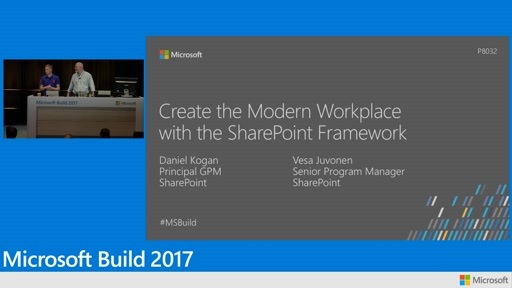 Build the modern workplace—team spaces, departmental sites, and organizational portals—using modern web dev technologies in Microsoft SharePoint. 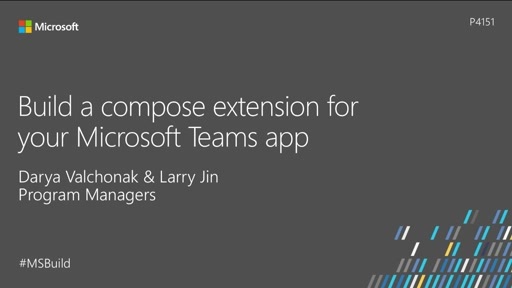 Learn more about the SharePoint Framework extensibility roadmap, timeline, and how to learn more to be prepared for upcoming capabilities of SharePoint. 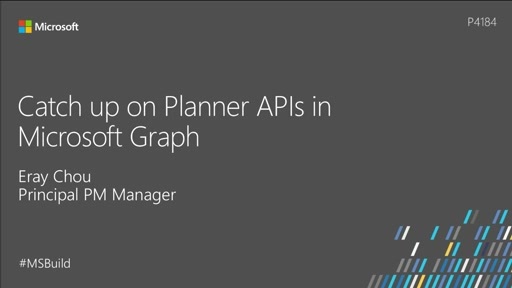 Learn about recent updates in Microsoft Graph for accessing Planner tasks and plans for millions of Office 365 users. 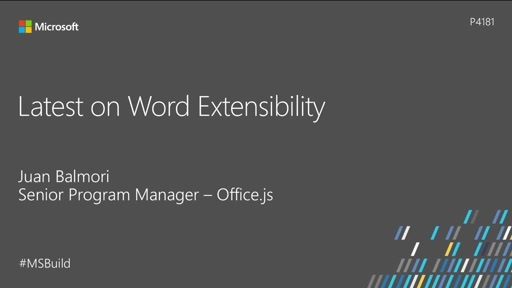 Explore the latest in Word development. 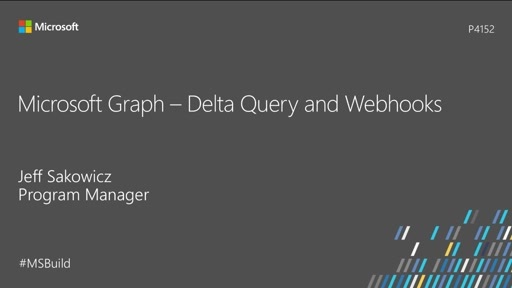 Learn how to keep your app current with all data updates using webhooks and delta query in Microsoft Graph. 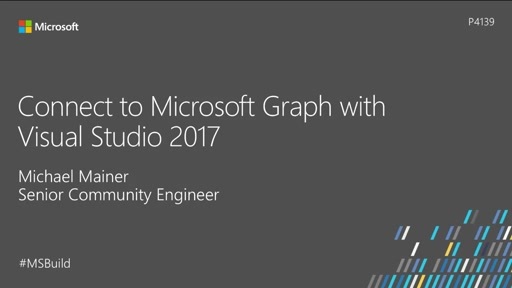 Lean how to use the Microsoft Graph API SDK for .NET to build your next integration with Office 365, including an updated Visual Studio experience. Microsoft Common Data Service or CDS is a focal point for a business's data. 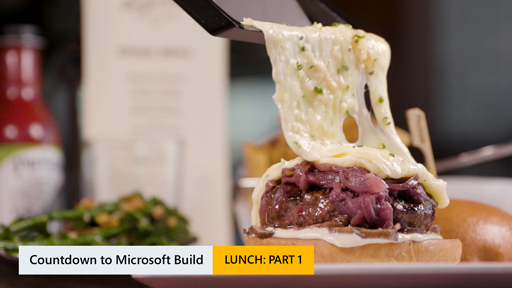 Professional developers can write applications that interact with that data in CDS and power users can take advantage of PowerApps, Flow, and PowerBI to create apps, design workflows, and perform deep analytics over that data without writing any code. 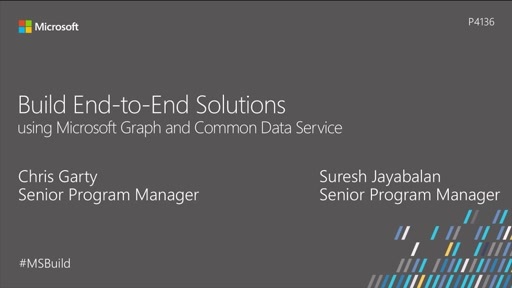 Microsoft Graph gives you access to rich data from Microsoft services. Once you bring that data to CDS, you can combine it with other business data that your business depends on. 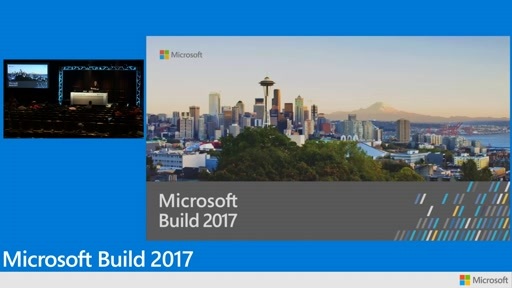 Then you can build rich applications and workflows with easy to use building blocks (such as PowerApps, Flow, PowerBI) whether you know how to write code or not. 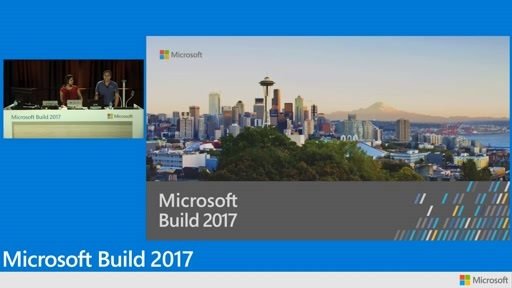 So using Microsoft Graph and Common Data Service developers can not only build people centric, data rich apps but the app can be extended by power users who are not regular coders to have additional experiences. 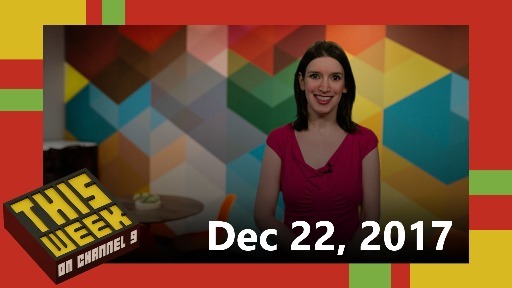 Hear about what's new with Visio APIs, and more. 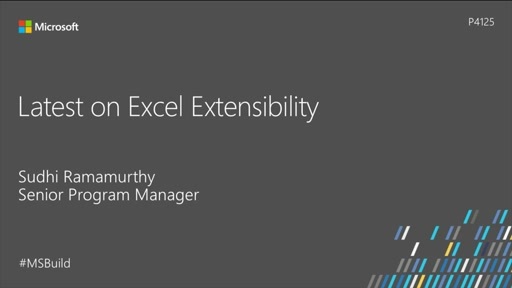 Explore the latest news on Microsoft Excel development.